This place looks like a castle from the world of Walt Disney. It is a quite a touristy area with many, many people around but it is a lot of fun to check out the different fortification walls and the views from different perspectives … And the lighting was perfect for photos! This amazing castle of glistening white stone brought back our imagination of all those Disney fairy tales from our childhood. Its round turrets, crenellated parapets, and spiral columns made us imagine a palace of which Walt Disney himself derived his imagination from. We kept expecting a princess to emerge with a flourish of trumpets (Look at us being childish, haha). The views were unique and you can fully appreciate the beauty and splendour of Budapest (Buda and Pest) stretched out before you along the Danube river, either day or night, but best time to go there is when it’s twilight, just before night. As per the story, back in the old days the Bastion takes its name from the guild of fishermen that were responsible for defending this stretch of the city walls in the Middle Ages. It is a viewing terrace, with many stairs and walking paths.. And after them the place received its name. Tried having the 3 towers in the photo 🙁 . From here we get a great view of the Parliament and Pest from the towers – if you’re lucky enough to be able to see. The place can get rather busy, but they make decent refreshments there. The actual bastion itself is rather beautiful. Fortunately the hill is high enough that you can get a wonderful panorama of Budapest without having to pay to go up on the promenade. The Neo -Gothic & Neo-Roman styled Terrace. The entrance fees of the Fisherman’s Bastion Budapest are flexible, depending on which part of the Fisherman’s Bastion (Halaszbastya) you wish to visit. Many of its balconies and 7 towers – stretching 140 meter – are free to enter, while the upper towers or turrets have a small entrance fee, which serves to maintain the historical building, one of the most romantic attractions in Budapest. 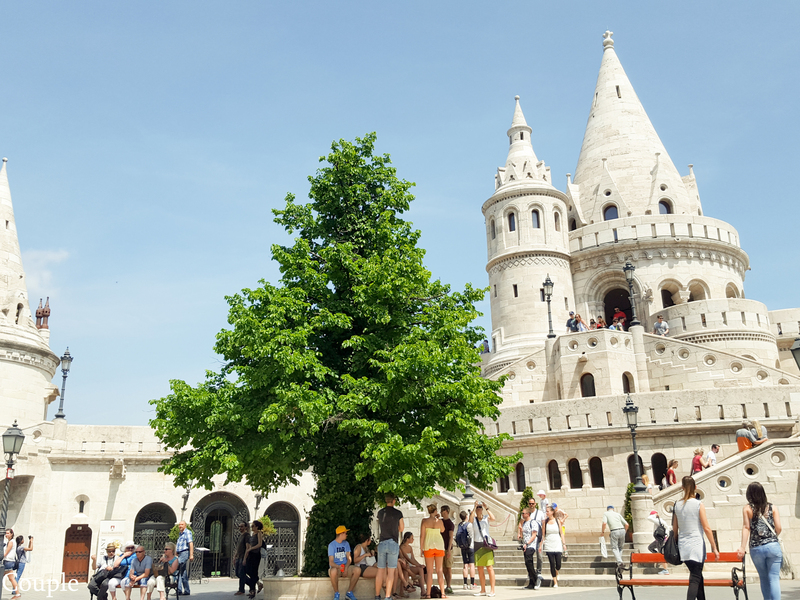 The easiest way to get to the free parts of the Fisherman’s Bastion is from the Matthias Church. Just walk to the balconies of the Halaszbastya to enjoy a superb view. Needless to say, you are more than welcome to contribute to the maintenance of this fine monument. Apart from culture and history, this place is just lovely for a romantic walk with your loved One.